With our shared passion for accessible fashion and transforming retail, Rent the Runway and thredUP have a few things in common. That’s why we’re thrilled to team up with them to offer you the chance to use thredUP credits to rent designer dresses and accessories for a fraction of the retail price on renttherunway.com. 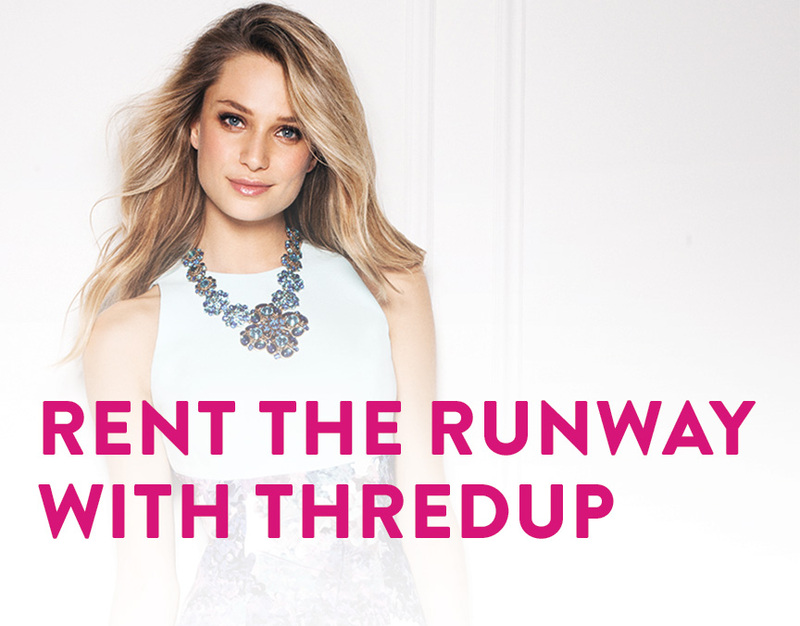 For a limited time, you can trade $25 in thredUP credit for $50 in Rent the Runway credit. Don’t have any thredUP credit at the moment? No problem, just order a Clean Out bag to get started. What’s not to love? Looks like you’re one step closer to renting that glam cocktail dress you’ve been dreaming about! Limit one redemption per customer and valid for new RTR customers only. Only credits earned through the thredUP Clean Out service may be exchanged, and credits must be exchanged by 7/31/14. RTR will email you a unique redemption code for $50 towards the rental of your first dress of at least $75 or more. Offers take 2-3 weeks to process and can be redeemed immediately upon receipt. Emailed credit will go to the same email you have on file with thredUP. RTR credit must be redeemed by 12/31/14.